Consumers are looking for more natural and organic products, and that translates into demand for natural and organic color additives. For manufacturers, meeting the demand for visually appealing natural and organic products is getting easier. This primarily is because ingredient providers have met the considerable challenge of scouring the globe for some of nature's most vibrant plant sources and slotting them into products to which they contribute both natural appeal and consumer confidence. Coming up with the right colorant for the right situation is no easy task, as the natural toolbox is understandably limited, especially when the food label says "organic." "The non-organic ingredients listed in Section 205.606 may only be used when an organic form is not commercially available," adds Barnum. "For any colors not listed, certified organic colors must be used." Annatto extract; Beet juice extract; Beta-carotene extract; Black currant juice; Black/purple carrot juice; Blueberry juice; Carrot juice; Cherry juice; Chokeberry-Aronia juice; Elderberry juice; Grape juice; Grape skin extract; Paprika; Pumpkin juice; Purple potato juice; Red cabbage extract; Red radish extract; Saffron extract; Turmeric extract. The compliant list includes colors derived from a powerful combination of phytochemical-rich foods, but that does not necessarily mean they always contribute to the nutrition profile or double as functional foods. As experts in the color industry often note, "A little color goes a long way." Take the example of beta-carotene, the plant pigment that gives foods such as carrots their brilliant orange color. It's really pro-vitamin A, a molecule that splits into two molecules of vitamin A upon digestion. 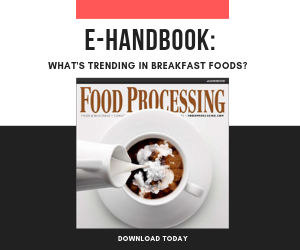 "Beta-carotene in beverages is predominantly used as a colorant and will be labeled as such, provided the level is less than 2 percent," says Gabe Srouji, director of R&D and technical services at Sensient Food Colors (www.sensientfoodcolors.com), St. Louis. "The level of beta-carotene in finished beverage applications normally ranges between 0.02 and 0.03 percent. If the amount of beta-carotene equals or exceeds the 2 percent level, then vitamin A is included on the label." Working with natural colors presents a number of challenges, because their behavior can be as diverse as their origin. "Natural colors react differently with changing environments in pH, light and heat stability," explains Srouji. "For example, anthocyanins are stable at a low pH. Shade shift is observed at higher pH values, which also results in decreased stability. Beet is the only water-soluble red colorant that is not significantly impacted by pH changes, however it is thermally unstable, especially in high-water-activity applications. Beet-derived colors normally do not survive pasteurization conditions, so it is rarely used in beverage applications." Often, there is a need for a natural color that can't easily be filled. "Water-soluble natural yellow can be difficult to obtain, but Sensient's new micro-emulsion technology is allowing us to get oil-based beta-carotenes into beverage systems with great stability," continues Srouji. "And at this time, no natural blue colors are legally approved for use in the U.S., but Sensient's product development team is progressing toward a solution." Of course the goal with colorants is not to enhance nutrition but consumer appeal. A food rarely survives on a healthful reputation unless it has the appearance to match. And natural or organic foods aren't exempt from this simple reality. "Color has a significant impact on consumer perception of flavor and freshness," continues Srouji. "Research shows that most people eat with their eyes, so a beverage that is lightly colored or faded could give a perception of weak flavor. Also, if a product color changes to brown, it could suggest that the product is old and thus has a poor flavor profile. Most anthocyanins and beta-carotenes have good shelf stability. Occasionally, beet may need to be avoided for products that are heat treated as it can lose color or brown." But what of the studies that show a discrepancy in this well accepted notion? Is there more to color than meets the eye? That's what Maya Shankar, argues in a March 2010 paper in the journal Consciousness and Cognition. In "Grape Expectations: The role of cognitive influences in color-flavor interactions," Shankar states that, while color conveys information about the flavor of food and drink by providing clues as to edibility, flavor identity and flavor intensity, there are other factors to consider that could explain the discrepancies in the research. She argues that color-flavor interactions must consider the role of higher-level cognitive factors, citing a study that demonstrated a statistically significant effect on people's perception of sweetness associated with red solutions -- the greater the intensity of red color, the greater the perceived sweetness, even when the solutions had a lower sugar concentration. Shankar reported cultural differences in color-flavor associations, for example between subjects from England and subjects from Taiwan. By including higher-level cognitive factors such as previous experience and expectations of the flavor-color relationship in his experiments, and in the interpretations of results of studies already published, Shankar hopes to arrive at a more testable hypothesis regarding color-flavor perceptions. So, will it turn out that natural colors have a greater appeal for the consumer than previously understood? Is it significant, for example, that there are no legally approved natural colors that are blue? Maybe our perception of what color represents in flavor is more complex than we imagine. Still, whatever the determination, colorants are at the forefront of a movement to reduce the artificial footprint on the foods we eat and the beverages we drink. Processors and ingredient makers will continue to pursue the natural reds and golds while seeking the elusive blues.